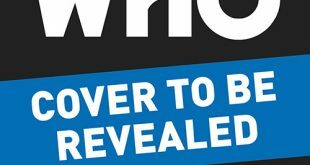 Diamond Comics released a look at their monthly PREVIEWS catalog coming next week. See the full press release below. Which line are you excited for? Let us know in the comments! (BALTIMORE, MD) — (June 21, 2017) — The July edition of Diamond Comic Distributors’ monthly PREVIEWS catalog arrives in comic shops on June 28th and features comic books, graphic novels, toys, and other pop culture merchandise scheduled to go on sale beginning September 2017. ON OUR FRONT COVER: The Dark Multiverse threatens to overwhelm the DC Universe in the second and third chapters of Scott Snyder and Greg Capullo’s DC Entertainment event, Dark Nights: Metal. ON OUR BACK COVER: A new era of hope, optimism, and adventure dawns for the Marvel Universe in Jason Aaron and Esad Ribic’s Marvel Legacy #1 One-Shot from Marvel Comics. Trick or Treat Month — Though summer has barely begun, Halloween is just around the corner, and PREVIEWS looks at the creepy and crawly books that will bring you thrills and chills this autumn. On The Flip Side — IDW Publishing is launching a new all-ages Star Wars comic this summer, Star Wars Adventures, and PREVIEWS talks with IDW Publishing’s Chief Creative Officer Chris Ryall and writer Bobby Curnow about the thrill of working on Star Wars, what it’s like to work with Disney and Lucasfilm, the joy of being a fan, and what “all-ages” means in a galaxy far, far away!. 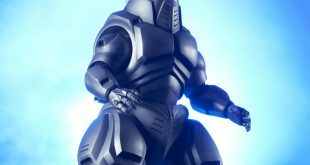 catBUZZ — PREVIEWS shines a special spotlight at some of the blockbuster books and products coming out in the months ahead. 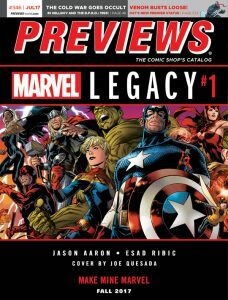 This September, Marvel Comics goes back to the year 1 million BCE in Jason Aaron and Esad Ribic’s Marvel Legacy #1, the over-sized one-shot that begins the publisher’s new direction. Plus, Mike Richardson and Paul Chadwick team up for an original graphic novel about two lives that intertwine in Dark Horse Comics’ Best Wishes; IDW Publishing kicks off their all-ages Star Wars title with a story from Cavan Scott and Derek Charm in Star Wars Adventures; Rob Williams and Simon Fraser continue Eggsy’s adventures in the Secret Service in Image Comics’ Kingsman: The Red Diamond, the sequel to Mark Millar and Dave Gibbons’ best-selling The Secret Service: The Kingsman; and a vintage Bronze Age cover of Superman breaking his Kryptonite bonds is brought to life for DC Collectibles’ DC Designer Series: Superman by Neal Adams Statue. Fans and collectors have these products and many more to look forward to this summer. PREVIEWS Exclusive Apparel — Each month PREVIEWS offers comic book fans and pop culture aficionados a selection of t-shirts and other apparel that can only be found in your local comic shop! Learn how the weapon from a more civilized age worked with the Star Wars: “Saber Cutaway” Glow-in-the-Dark Black T-Shirt. Plus, Jae Lee’s version of Black Bolt is featured on the Marvel: “Black Bold Overlay” Black T-Shirt, Cable’s glowing eye and Deadpool’s red-and-black mask are combined for the Marvel: “Team Up Cablepool” Black T-Shirt, and join S.H.I.E.L.D. with the S.H.I.E.L.D. Logo Hexshine 50Fifty Fitted Cap. Indie Edge — Halloween Comic Fest is coming to your local comic shop on October 28th, and this month PREVIEWS reveals the free comics your local comic shop will have on the date and offers bundles of mini-comics to give out in your neighborhood as well as t-shirts, including the first Halloween Comic Fest Commemorative Artist T-Shirt, illustrated by Francesco Francavilla, you can wear to show your love of comics this fall. Halloween Comic Fest — PREVIEWS talks to Adam Green, the writer/dirctor of the Hatchet horror film franchise, about bringing his film work, like Hatchet, to comics through American Mythology Productions, as well as the horror comics he’s reading today. 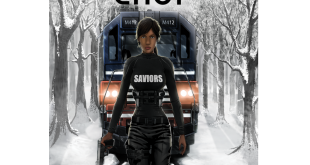 Plus: Staff Picks, the monthly Bestseller Charts, and so much more! 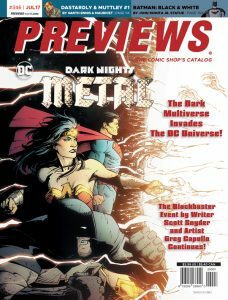 All this awaits you in the July edition of PREVIEWS, which goes on sale at your local comic shop or specialty store on Wednesday, June 28th with the regular cover price of just $3.99. 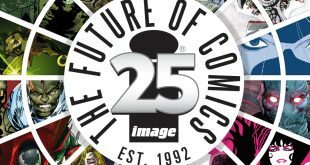 ABOUT DIAMOND COMIC DISTRIBUTORS (DCD) — Diamond is at the nexus of comics and pop culture merchandise. Based in Baltimore, MD, DCD is the world’s largest distributor of English-language comic books and pop-culture related merchandise, servicing more than 4,000 specialty retailers worldwide. For more information, visit Diamond on the web at www.diamondcomics.com.